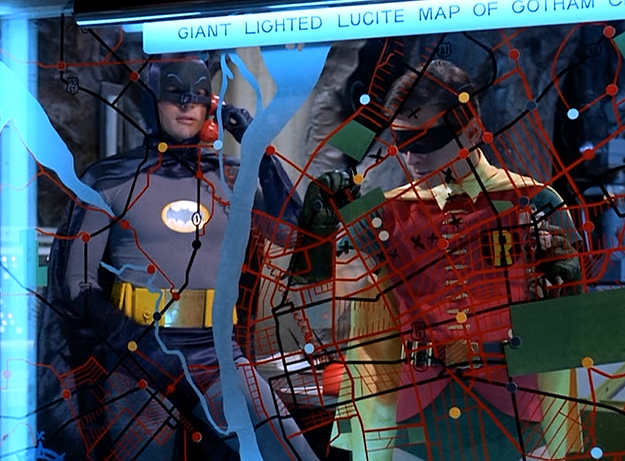 Today’s episode of Batman goes to show the influence that this series had on Batman in general. The villain that we now know as Mr. Freeze originally debuted in the comics in 1959 as a character called Mr. Zero. However, when the character was utilized on the 1966 Batman series, his name was changed to Mr. Freeze. Due to the popularity of the 66 series, DC Comics chose to change the villain’s name to match the series. To this day we know him as Mr. Freeze and have this series to thank for it. Here is his first appearance on the show in Instant Freeze. As our story begins, a strange figure emerges from the Gotham City Ice Skating Rink having just melted it with a flame thrower. 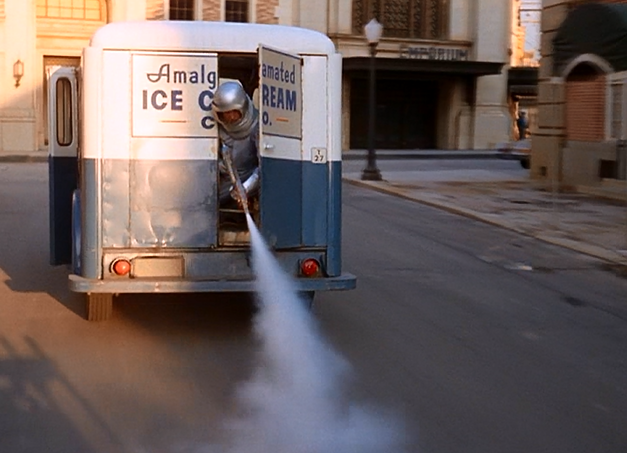 As a motorcycle cop pursues the escaping ice cream truck he slips on a patch of ice…in July! Who else could it be but Mr. 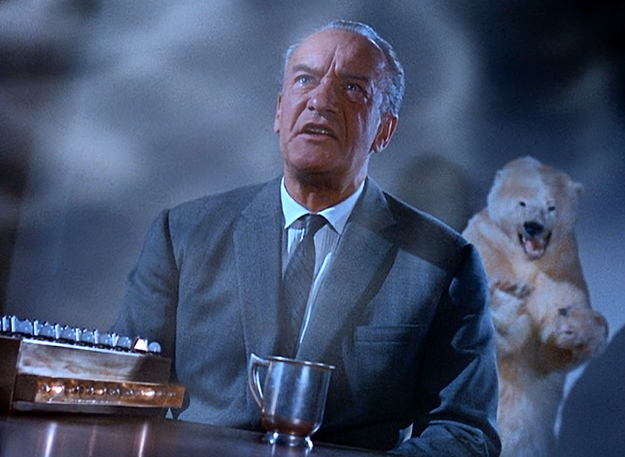 Freeze (George Sanders). It’s clear that Freeze is out for revenge. You see, it’s the Caped Crusader who accidentally dumped a beaker of “instant freeze” on the crazed scientist during a struggle years ago…thus creating the poor soul who can only survive in -50 degree temperatures. Can no one save our noble pair of human popsicles? By watching, you, too, can lose your cool! Mr. Freeze appeared on this series three times, and each time he was portrayed by a different actor. Sanders’ version is probably the portrayal that stands out the least. His version of Mr. Freeze wears a special outfit (pretty much a B-movie style space suit) to keep him cold…but only when he’s out and about. The rest of the time, when he’s in his lair, Freeze is just a normal guy in a business suit. This series’ other two versions (played by Otto Preminger and Eli Wallach) would have icy looking skin and more extreme features. They also had a very different version of the suit. Though Sanders does a decent job with the role, he has the misfortune of being, so far, the most down-to-earth villain after the extremes that are Riddler, Penguin, and the Joker. The story here also suffers a bit since Freeze’s plans don’t seem all that ambitious. He’s out for revenge, but the crimes he pulls in the process just aren’t all that spectacular. Another big problem with this episode is a really lackluster cliffhanger. 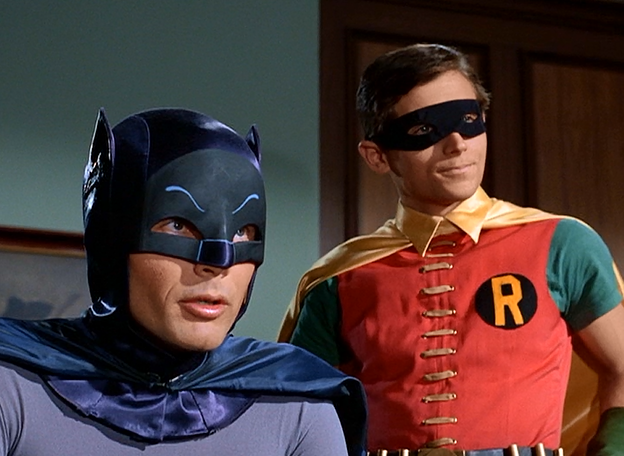 Batman and Robin are frozen in their tracks…so, where’s the suspense? We know they’re stuck and we know that somehow they need to be unfrozen. There’s no looming danger like we’ve seen in the other first part episodes so far…especially since Freeze makes it clear that freezing them will not ultimately kill them. There is still fun to be had with this episode. 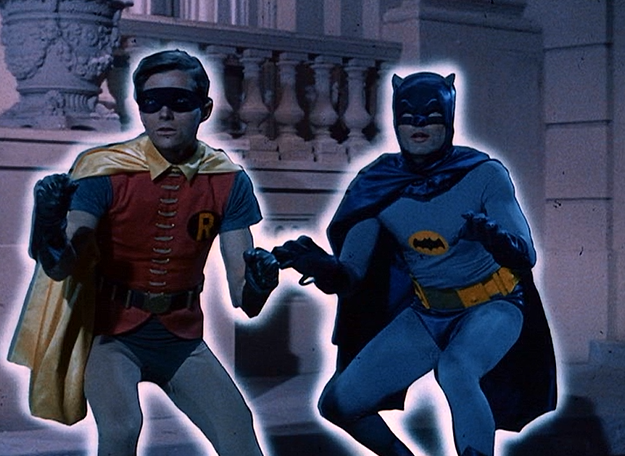 The most inspired moment is the fight sequence where Batman and Robin fight with five other crooks dressed as Batman. The scene is a wonderful mess of blue capes flapping every which way. Even poor Robin has a hard time telling which one is the real Batman. I almost forgot one little piece of trivia for this episode. We’ve talked about the lovely ladies of Gotham in other episodes. This episode adds Princess Sandra, played by Shelby Grant…but there is a brief appearance by an actress who was just starting out and would become much more famous in the years after this show. A young miss Teri Garr appears in the first scene as a girl running out of the melted ice rink. While I say it is almost impossible to not have some degree of fun with any episode of this series, compared to the iconic villain introductions we’ve seen so far, this episode comes up a bit short. Perhaps things will go better in part two, Rats Like Cheese. Next week…same bat-time, same bat-channel (superhero).